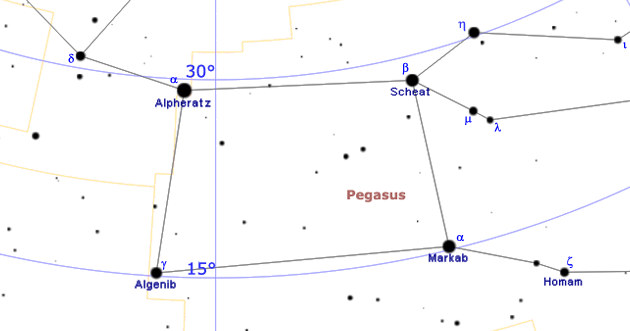 The Great Square of Pegasus is an asterism formed by three bright stars in Pegasus constellation – Markab, Scheat and Algenib – and Alpheratz in the neighbouring constellation Andromeda. 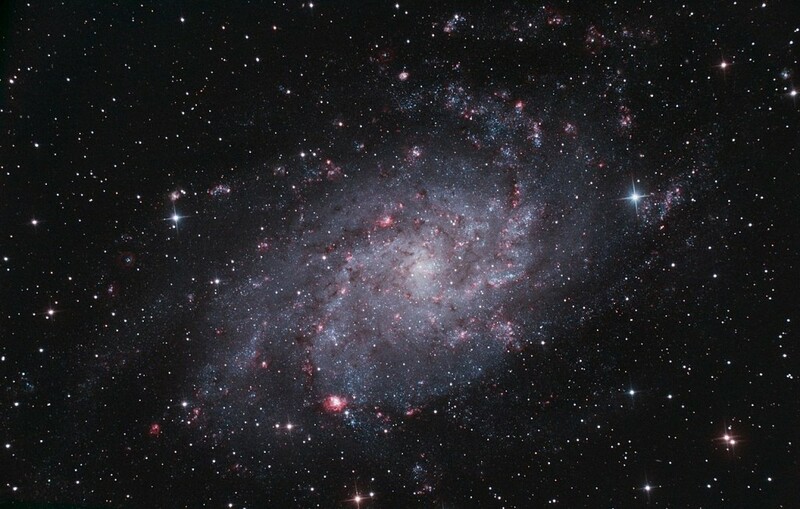 For northern observers, the asterism is particularly prominent in the summer months, when it can be seen high overhead in the evening. 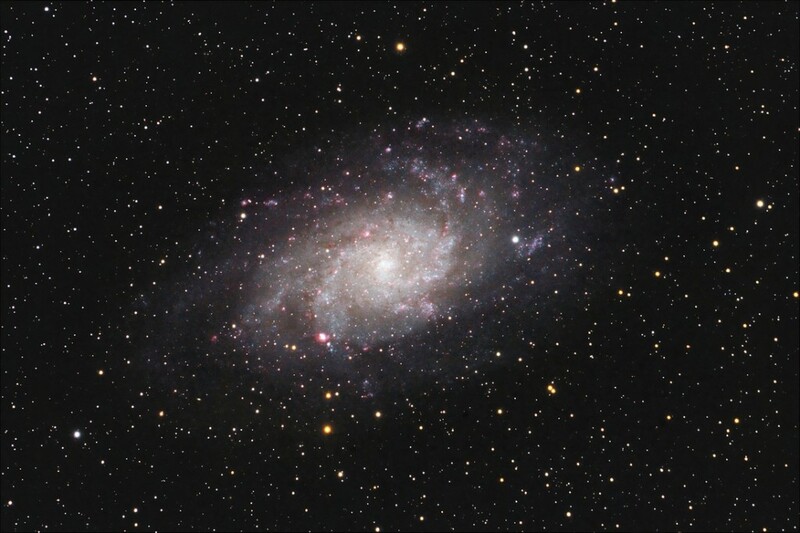 The Triangulum Galaxy, also known as Messier 33 (M33), is a spiral galaxy in Triangulum constellation. 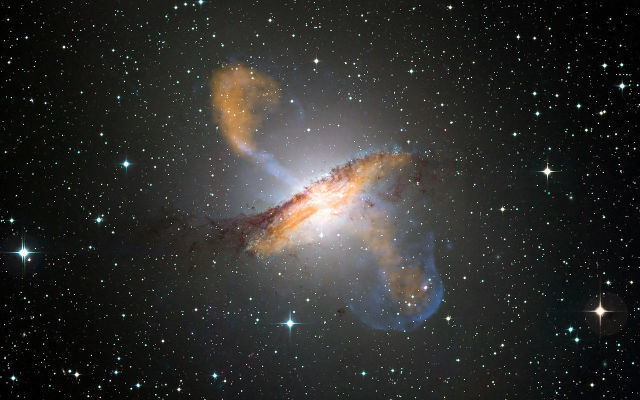 The galaxy’s designation in the New General Catalogue is NGC 598. 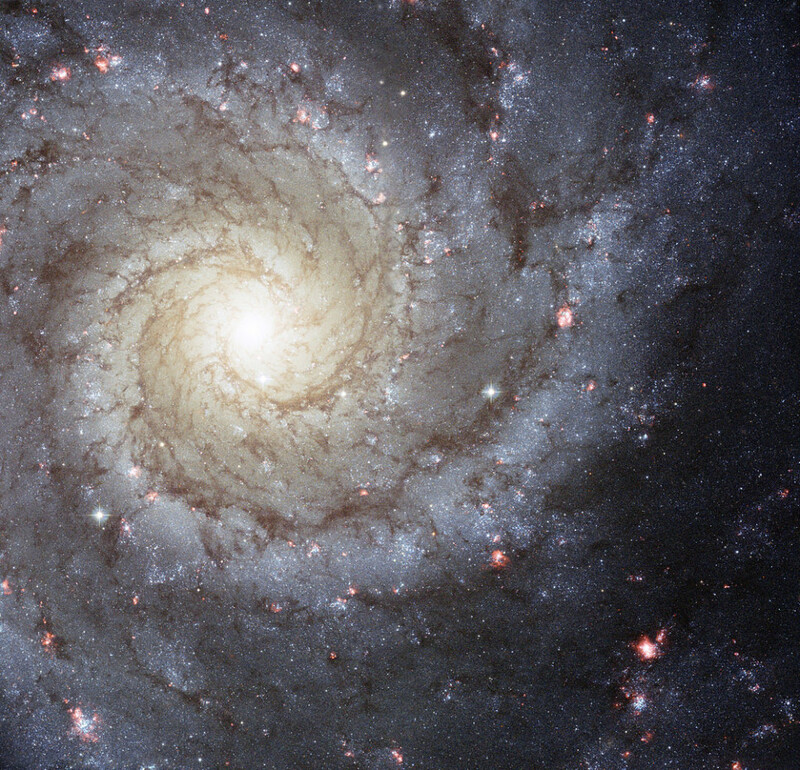 It lies at an approximate distance of 3 million light years from Earth and has a diameter of about 50,000 light years.